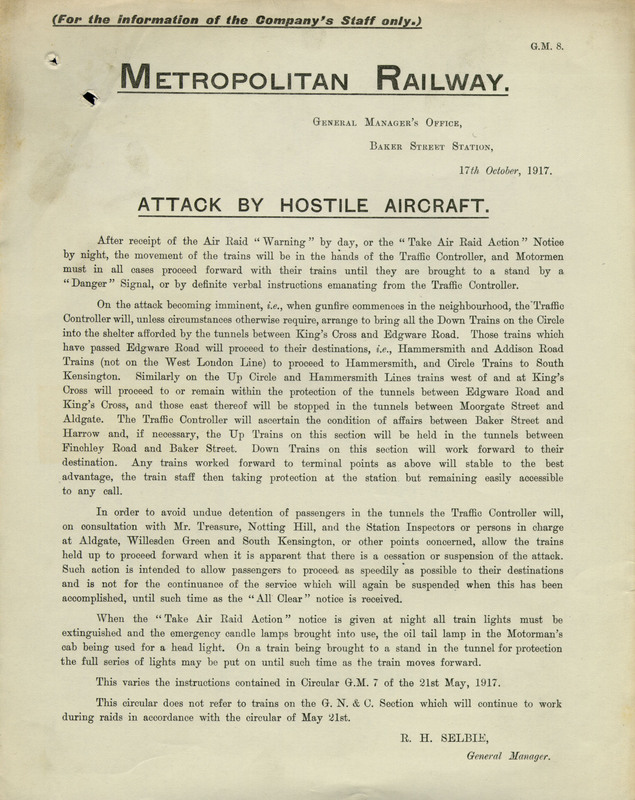 This staff notice gives details about what would happen to trains in service during an air raid, in particular where they would travel to for safety. Trains were stopped in tunnels if possible and only moved along the track during periods of cessation to allow passengers to disembark. All trains which were forced to stop in the open were to extinguish all lights, but those in the tunnels could keep their lights on for protection.